Category Archives for "Nose Piercings"
You’ve got a brand new nose piercing, or you’re seriously thinking about getting one, so you need to know the right way to take care of your new piercing while it heals. This guide will show you what you can expect from your nose piercing as it heals, and what you can do to make the healing process as quick and free from complications as possible. If you’ve had other piercings before, you’ll find the information to be similar to other piercings, but there are several points that are specific to nose piercing in particular. It’s a good idea to take a quick look, even if this isn’t your first time around. The most important thing you can do after getting a new nose piercing is to learn how to keep it clean. Piercing aftercare should start from the day you have your procedure, and continued until your piercing has completely healed. This article will give you all of the information you need to clean your nose piercing safely and effectively, so it heals as quickly as possible and ends up looking great. Nose Piercing Healing Times - How Long Do They Take To Heal? 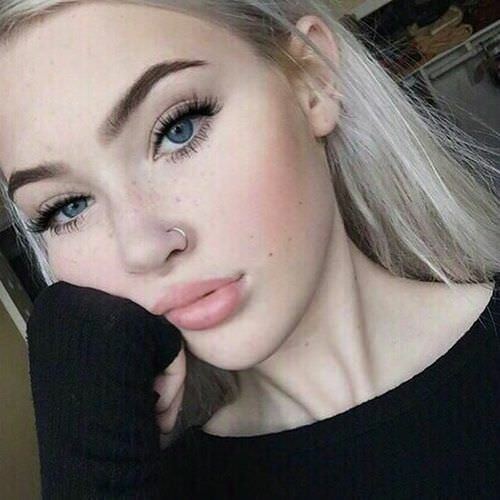 How long a nose piercing takes to heal is dependant on several factors, and your piercing may still be healing even after it seems like it’s completely healed. Just because all the outward signs like redness and tenderness are gone, this doesn’t necessarily mean you are ready to stop aftercare or replace the jewelry. Consider the factors discussed in this article before you treat your nose piercing like it is fully healed to ensure everything progresses as well as it should. 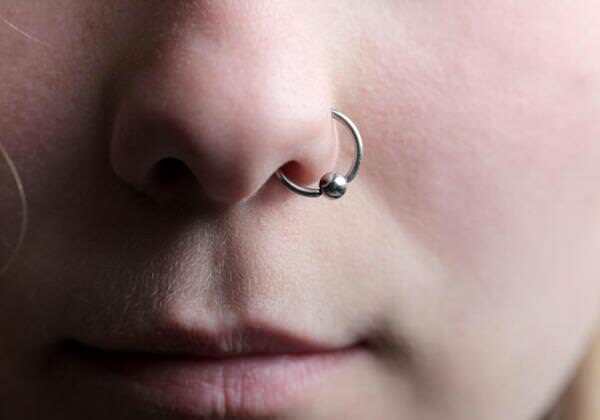 Almost everyone will wish to know how much a new nose piercing will hurt before they get it, especially those who have never had a piercing before. Unfortunately, there is no definitive answer to this question; but what I can offer you is some in-depth information about which factors can definitely affect how much a nose piercing will hurt. Having this knowledge can help you to prepare for what is about to come, and could even help to minimize the pain during and after the procedure. So keep on reading. 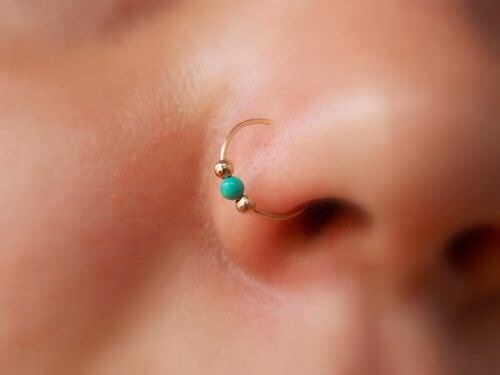 If you want to change up your look, but you don’t have much money to invest, nose piercings can be the way to go. They’re still edgy enough to draw attention, but common enough that people won’t stare when you walk by. However, nose piercing costs can still fluctuate depending on several different variables. This guide will help you determine what factors into the cost of a nose piercing and what discounts you might expect to find. You’ll also understand why the cheapest rates aren’t always the bargain they’re cracked up to be. The last thing you expect to see after you get your nose pierced is a weird-looking bump at the piercing site. 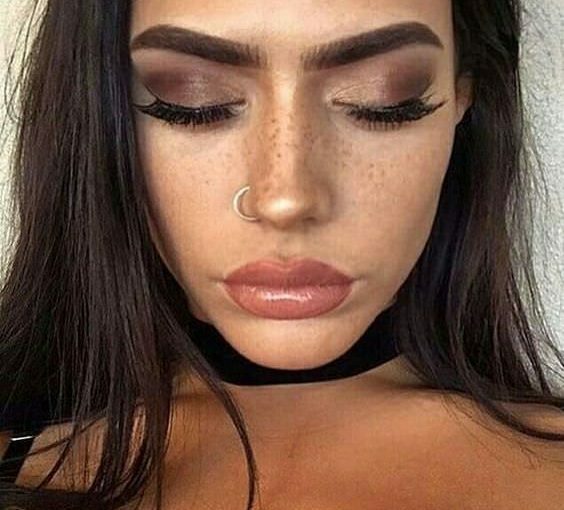 When you see this new nose piercing bump, you’re understandably worried because that’s 100 percent not the look you were going for. Are you going to have that bump forever? Is there any way to get rid of it? 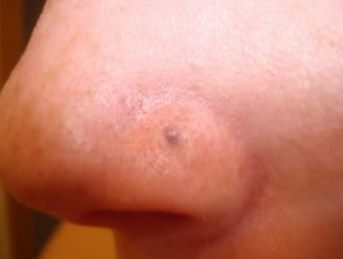 If you want to get the full scoop on nose bumps, what causes them, and how to banish those unsightly and unwelcome guests, read our guide. You’ll feel much better once you have some great information under your belt. Sometimes piercings leave scars and sometimes they don’t. 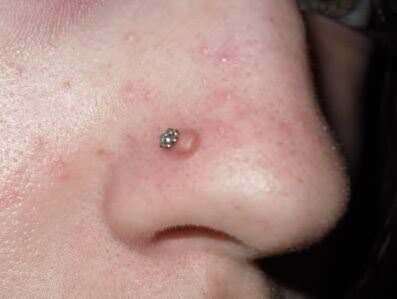 Nose piercings are one of those piercings that are prone to scars simply because they go through cartilage. Cartilage tissue is more likely to form scar tissue compared to other areas. If you notice that you are developing a nose piercing scar, this detailed guide can help you know why it’s happening, and what you can do about it. If you have attitude and a spirit that can not be tamed, nose piercings might be in your future. 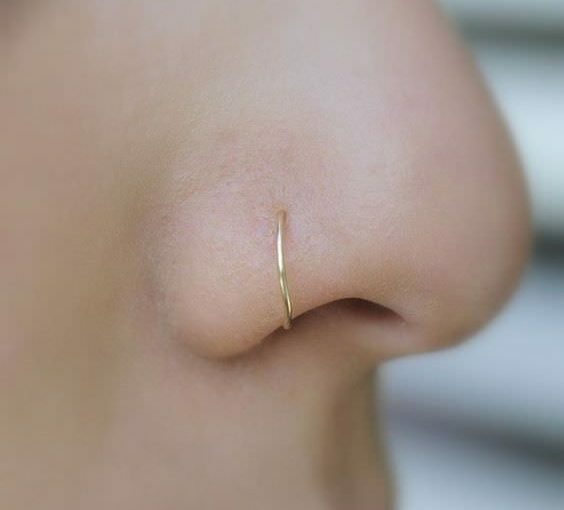 Whether it’s up high on your nose or it’s a barely noticeable nostril piercing, nose piercings can make you feel like the coolest, toughest person in any room. 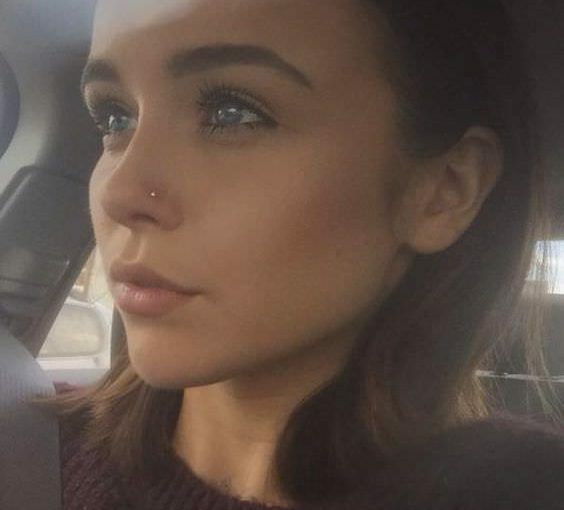 Before you do anything permanent though, you should read this article to learn about the different nose piercings you can get and all the information you’ll need to determine whether this is something you want to do. When Can I Change My Nose Piercing? You’ve had your nose pierced for a few weeks and that original stud is starting to look a little boring. You want to switch it out, but now you realize you don’t know much about changing a nose ring. 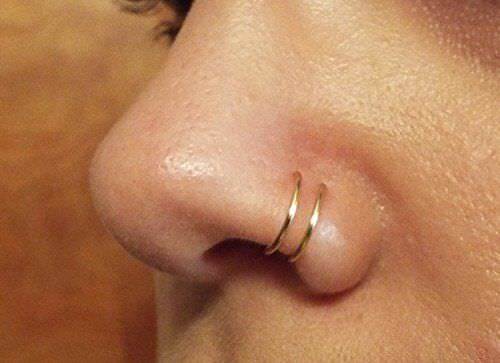 Changing your nose ring too soon or improperly is risky. In this article, we’ll go over how long you have to wait before inserting new jewelry and give you a step-by-step breakdown of the right way to do it.